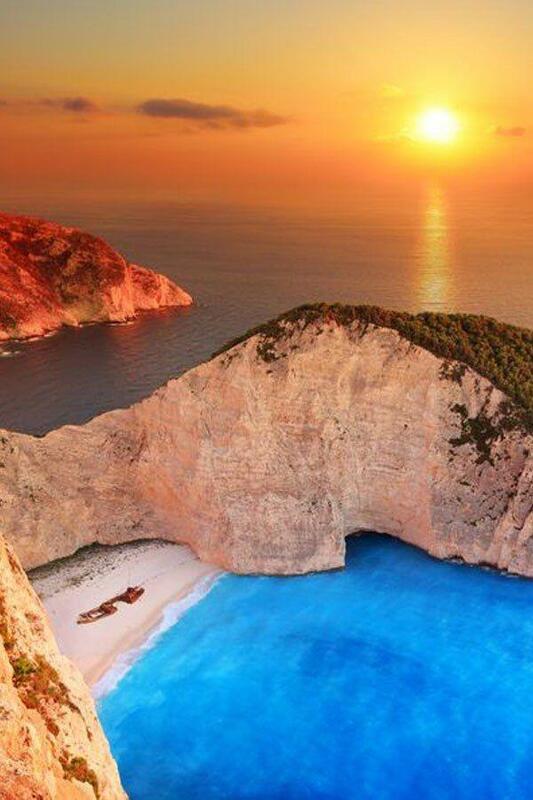 As the boat approaches Zakynthos port, you gaze at the breathtaking natural beauty. Dolphins follow the boat carefree. Sandy beaches emerge like white lace around the island. Green hills and spiers of Venetian architecture stand in front of you and welcome to the Greek exotic, bright paradise of Zakynthos. Mirabelle Hotel lies on the south eastern side of the island. The hotel’s name perfectly matches its outlook. 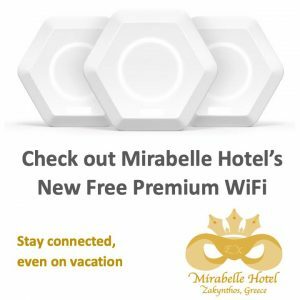 Mirabelle means “beautiful view” in Italian, while “yellow houses in the green of nature and remind you of the tree a small yellow plum” in French. 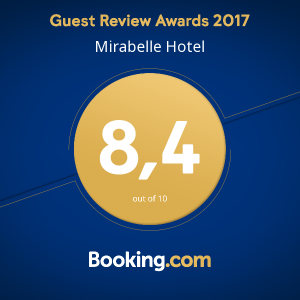 We indeed in Mirabelle Hotel combine both. 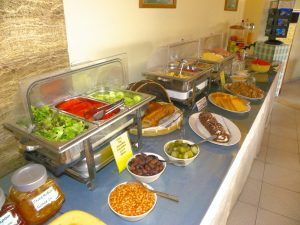 The hotel is surrounded by nature, faces the sea, and draws energy and well-being of a good life and a healthy Mediterranean diet. Our guests are quickly familiarized with the hotel’s staff, who kindly welcome them. The staff are experienced and act as a “host family”, whose ultimate goal to serve each guest in a unique way. Then our guests are offered the “Greek home” – a clean, spacious, and safe room. Our staff will delightfully welcome you for our rich and delicious Greek breakfast, with a warm “Kalimera” and a wide smile, congruent to our philosophy that positive energy is enhanced with the optimism that surrounds us, high quality food, and by caring yet discreet people. We deeply bond with our guests and we gladly accept their gratitude shown for our services that contribute to worth remembering holidays making them wish to come back in the future. In our small community, guests of all ages are happy. They stay and relax in comfortable rooms according to their needs, as we offer bed and facilities even for infants. Guests feel like home, secure in the safe area of the hotel. Guests can meet their neighbors and exchange information from their daily excursions. They can go to the nearby shallow sandy beach for swimming, and they can find fun activities and quality food for all desires and ages. Our guests have fun in our pool and pool bar with pleasant music enjoying some coffee, drinks and snacks, and free wi-fi. They can watch TV or play billiards, foosball, backgammon, cards, board games and read books from our library. 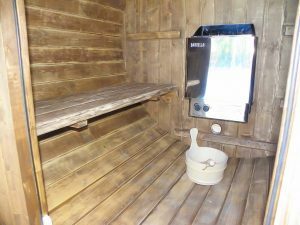 You can detox while relaxing in our Sauna, an experience that will refresh your mind and body. 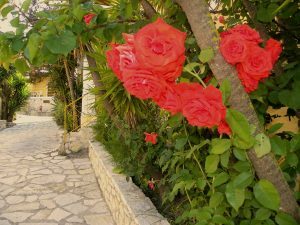 Mirabelle Hotel’s garden with lush vegetation is ideal for those who want to rest and meditate watching tropical and Mediterranean plants and trees. 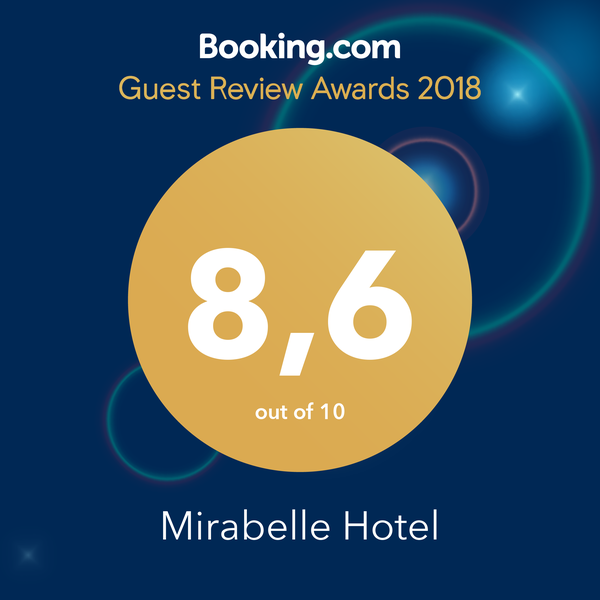 Guests feel comfortable at Mirabelle Hotel, a bike friendly hotel that provides free eco-friendly electric bicycles to bookings made directly on the hotel’s website with specific packages or through daily rental at very affordable rates.